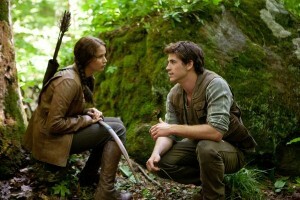 The movie version of The Hunger Games debuted on March 23, and it is breaking all records. 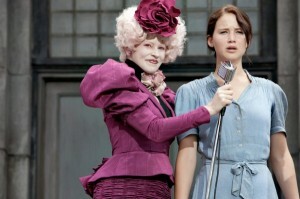 What follows is a review of The Hunger Games Trilogy by author, Suzanne Collins. **Spoiler Alert—The plot is discussed here in detail for parental benefit. The level of detail is to help facilitate a discussion with your child even if you have not read the series. 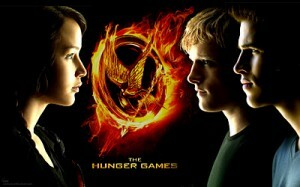 The Hunger Games Trilogy is a science fiction series by Suzanne Collins. It is categorized for young adults, which means it’s recommended for children as young as twelve. It is quickly following in the footsteps of the Harry Potter series in terms of popularity. Scholastic Press published the first book of the trilogy in 2008 and the third and final book in 2010. While all three books have been on the best sellers list, the third book topped all U.S. bestseller lists upon its release. Since it has already been translated into 26 different languages and the rights have been sold in 38 countries, there’s a good chance your child has heard of this series and may already have read at least one of the books. 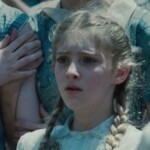 The Hunger Games series is full of intrigue and excitement. Collins’ imaginative writing style, and her ability to create suspense to draw her reader in make these books the kind that will keep readers of any age up reading all night. That being said, The Hunger Games series is one that some Catholic parents, myself included, may not want their twelve-year-old reading. The narrative pits children against each other in a fight to the death. The descriptions of death and mutilations are quite graphic and may be too lurid for sensitive readers. The series also contains a number of adult themes, which I will discuss in more detail later.